I'm going straight to blogger Hell. I've committed another blogger sin. Last week, it was reusing an outfit; this week, it's posting an outdated photo of something I didn't actually wear today (gasp!). So this photo was taking 2 weeks ago while I was back in Toronto. The good kid in me had a certain unsettling feeling about playing on the train tracks. It was a good thing that I was near one of the railroad gates where bells and lights go off as trains approach- this photoshoot was actually briefly interrupted by a train swiftly passing by. Anyway, this was one of the dresses that I asked my family to bring me back while they went stateside shopping without me. This will probably be the last white/creme dress I ask for because it's a complete dirt magnet. I don't think I'm responsible enough to own a white dress. I'm usually a pretty neat eater, but it's like the chocolate I was eating just enthusiastic jumped to blemish the dress! In other news, the interview I had with Threadbeat, an Ottawa-based street style blog is up! Go give it a look- I babble and sound kind of silly, but I'd still like to think I have some valid opinions. hahaha girl I do this all the time! omg thse photos are amazing! Those shoes. Uhuhu, I love it! Thanks for your comment! These are gorgeous pictures, I love it when railway tracks are included in pictures! And those are some amazing shoes!! 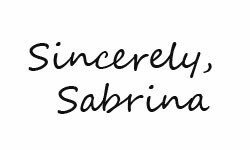 oops i commented on the post below this one with a comment that was irrelevant to THAT post, but anyways you are very very beautiful Sabrina! the scenery is way toooooo pretty. I love this outfit! Love the girly dress paired with the denim jacket. You look so cute! I love all of your photos! Wow! I love the shoes/entire outfit and the railroad background is perfect! love the tassels on the the heels! cute blog! I would be scared to be taking pictures on the rail tracks haha.. Always looking great! Fabulous from head to toe! I am always stunned by your creativity! This dress is adorable! Also, it always seems to work that way when you're wearing white/cream --something is bound to spill on it no matter how careful you are!